How should gen 8 ash be handled? 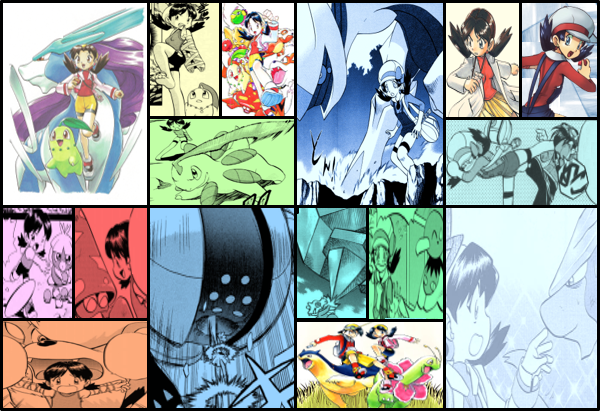 Discussion in 'Pokémon Animé Discussion' started by mehmeh1, Nov 5, 2018. I think it's fair to say that since gen 5 ash has been in a.....weird state to say the least, so it's a given he'll be drastically changed again next gen. So, how should he be handled in terms of characterization, competence, others' perception of him, etc? IMO, gen 8 is really his last chance to win, he's already had a "rest" series with SM, and 2 in a row would be too much, so there's no excuse for him to stay in the same place or go down, thus, he should be more determined and set on his goals than ever before. Maybe becoming more self-aware and at some point reflecting on what really is a pokemon master and about his previous league losses and sympathethizing with the TRio about their goals being in a seemingly endless loop, bringing back some of their chemistry, speaking of which, he should be able to bounce off others and be more active during interactions, like SM ash. Maturity-wise pretty much the same as XYZ would work. How others see him is a trickier topic, maybe they could finally flat out introduce a pokemon master, but make him look down on ash? As for his companions, they shouldn't idolize him, but still respect him, though still bickering from time to time. Your basically asking how should Ash be handled in general. However since were going by even numbered again. I suppose pretty much like the XYZ season. Ash-Pikachu and Ashton Ketchum like this. isn't that one for gen 8 as a whole? It doesn't matter to me, Ash has been a lost cause since DP. Just sideline him more and give the companions more focus that they deserve. HoundoomFan, Moonlight Starlight and Satoshi & Touko like this. Kill him off and spend the entire series trying to revive him. JK. In all honesty, breathe some new life into him. The reason why Ash isn’t on the level Mickey Mouse or Superman despite his iconic status is that he is still chasing the same goal for 20+ years with little variation. Compare that to Mickey who has been a pauper, king, sorcerer, car salesman, window cleaner, and more. Breathe something new into Ash that doesn’t involve excessive preachiness or there to the sake of being there. I feel like SM is at least trying to dabble in that. He is a lot more colourful this series and is responsible for a lot of fun fillers. He also doesn't rely on battling or bad guys non-stop to have anything to do. At the very least I think Gen 8 Ash should maintain the same level of interactions and versatility in plot lines as SM Ash. Truthfully some of Ash's best roles in SM have been supporting ones where he's interacting or helping one of the other characters. His limelight episodes are good too, but, yeah, it's maybe best not to have his now stale gym/trial role the actual centre piece of the show's continuity anymore. It balances the show out with some good battles, but the other companion should maybe have the fresh new goal arc again. I also like how Ash serves for a lot of world building in SM, a lot rivals are in fact individual characters primarily, just their rivalry with Ash is a smoother way to bring them into the show before their own storyline (eg. Tapu Koko, Gladion, Masked Royal/Incineroar) thus we get a larger universe but with someone still tying it all together. The companions were also kinda established the same way individually, though how well they branched out on their own varied. XY Ash arguably did this too, but less by being a character and more a figurehead of inspiration, which after a while got a bit one note, while SM Ash tries more for actual chemistries. One plot idea I always thought would be cool is if Ash got turned into a Pokemon again at the start of one series, and is obliviously taken in by the new cast, only changing back some time into the series. Thus the focus can be more primarily on the new companions while still keeping him in limelight in a different way. FlygontheRavager and Pokegirl Fan~ like this. They should make him flawed again. And I don't mean making him stupid, giving him a bad temper or turning his hyperactivity up. These are personality traits, not flaws. I mean giving him a problem that will actively inhibit his ability to get what he wants. Something he hasn't had since OS. Back in the day, Ash was dumb, bad tempered and hyper, but what really held him back were his arrogance and bravado, as they prevented him from seeing his own weaknesses and learning from his mistakes. The events of the story conspired to fuel this mindset (how he thought he "earned" his gym badges, while we know most of them were gifted for other reasons), only to knock him down at the most important point. At which point, the penny drops, he accepts he messed up and gets better. This is the Ash we've had since then. We've seen parts of his personality come and go, exaggerated or understated, but we haven't seen him have a serious flaw. If his goal is to become Pokemon Master, what's preventing him from reaching it? The fact that he can't win a tournament. But why can't he win a tournament? In OS it was because he was flawed, but since then, it's always been because someone's been better than him or he's just been plain unlucky. It's never his fault that he loses. There are no obvious weaknesses or defects that Ash has to fix with himself. He has no problem making friends, no problem saving the day, and few problems winning Pokemon Battles. His Pokemon love him and always grow through his training. He is pretty much perfect. So all I'd do in Gen 8 is give him some weaknesses and focus on them. Maybe he has a hidden self-doubt or anxiety about accomplishing his goal, born out of his failures. Maybe he feels lost as to where to go next, having been on the road for so long. Maybe there's something with his world view that isn't compatible with whatever region he's going to next, and he has to adapt to succeed. Just give him a meaningful flaw, explore that flaw, then have him overcome it again. Power Up, LilligantLewis, FlygontheRavager and 1 other person like this. I think the issue is that since the early OS they've struggled to make effectively flawed main characters whatsoever. 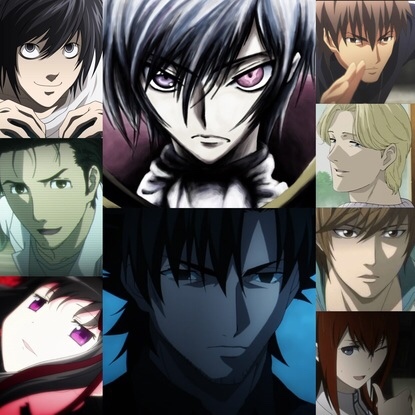 The formulaic nature of the plot doesn't really go for the protagonists' traits having consequences on how the story flows, besides the 'underconfidence' arc which is easier to do because it relies a lot more on the protagonist NOT doing anything and over exaggerating how flawed they actually are. It's taken till SM to really return to character driven plots with 'actions - consequences' type flow, but even then, while I like the quirks of each cast member, I wouldn't call them incredibly flawed, even Lillie, just imperfect enough they can make their own stories amusing. Ash at least has the foible of being incredibly impulsive, and no matter what development sticks, that foible tends to stick in some way, it's just we don't really see it come back to haunt him in a serious long term way. It's taken until SM just to REALLY emphasise it for comedy value like running into a slapstick injury. Again though, it's more than what most of the companions demonstrate. I admit I kinda like the idea of Ash being a 'sad clown', a guy that puts on a happy front, but is deep down aware that after all this time he should have gotten further and is kind of wistful to all the chances he lost and all the friends he's parted with. The reason why Ash is the way he is has its roots in marketing. To a company, a character's brand is everything there is. Make the character too flawed, you isolate potential investors like viewers and merchandise buyers. That's why you can't simply kill an American superhero off and expect it to be permanent. That's the very reason why retcons exist. At the same time however, Ash isn't really worse than any other main character in the show we've had in a long while. Most of them are nice if somewhat bumbling characters. Even Team Rocket have kinda got dumbed down. It's less that the franchise has 'Mickey Moused' Ash and more it doesn't really go for deeply flawed characterisations anyway. I can say it can go worse however, as said, Ash at this point is at least somewhat colourful in personality, he can hold stories in the same way Bugs Bunny or Winnie the Pooh can. There's plenty of protagonists similar to him that just go in a monotonous route trying to upkeep flaws because they simply don't know how to execute it well. Tyson from Beyblade for example started similar to Ash's OS characterisation and then slowly became more and more of egomaniacal jackass, always having to learn the same lessons (or even worse, gain compressed vices) and be told by his friends who DID grow how much he sucked. I suppose right now the Pokemon anime is stuck in the dilemma of trying to avoid this, making Ash an inherently flawed character but still trying to maintain his experience and likeable qualities (not that his characterisation is particularly consistent anyway though). The reason why Ash is the way he is has its roots in marketing. Marketing an eternal loser doesn't seem to make much sense to me. Ash-Pikachu, Redstar45, 04n70n10 and 3 others like this. Sure it does back when the internet was young and the audience could easily be renewed. After all, no internet means Ash's exploits would be harder to find or be passed by word of mouth. The problem is that the Age of the Internet has rendered Ash's entire journey in less than 10 clicks. He's a marketing tool, but the methods used to market him are antiquated. 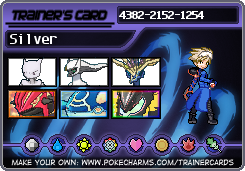 Pick up from where XYZ left him trainer and character wise. Have him learn how to effectively use Entry Hazards (something he’s never done). Give him a more active role in mentoring a new trainer (unlike his more passive mentoring with Sawyer). I’ll admit that VTP’s idea about having Ash’s “not making any permanent progress in his goal” finally get to him resulting in anxiety/desperation serving as a character flaw that he needs to overcome quite interesting though it would need to be handled carefully since that would go against Ash’s generally hyper optimistic outlook meaning that they really need to portray it as Ash has always tried his best to remain positive, but cumulative frustration of constantly not being able to get to the next step in his goal has finally started making cracks in his unwavering optimism and he has to undergo an intense struggle in order to hold on to his principles. Ultimately Ash needs to finally win an accredited league conference this gen, so that he can move on to bigger and better things like the champions’ league. Whether they want to show Ash’s story after that point is up to them, but it would be really appreciated if we finally got some closure concerning the primary objective that Ash has been pursuing for 20+ years (winning an accredited league conference). Ash-Pikachu and LilligantLewis like this. I think Alola makes sense for him to win because it's a smaller league, so it won't seem as much of a big accomplishment. That might be how the execs who are obsessed with the status quo are able to stomach it. Simple, just rehash AG ash with level of competence he showed in BF (which is part of AG) or XY series and give him team just like AG with lots of personality and good evolution ratio and he will be fine.